As advanced gaming systems continue to evolve, older classics like the Nintendo Entertainment System (NES) are one step closer to extinction. They're rotting in the basements of gamers. They're gathering dust at the local pawn shop. Or worse... being thrown out in the trash like a used up condom. 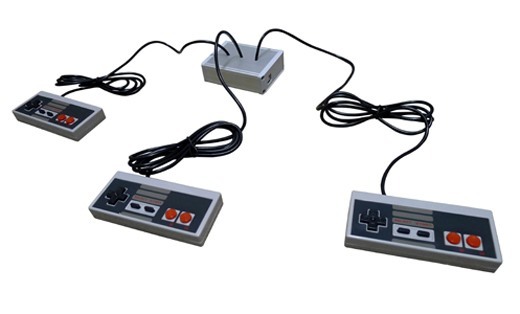 But not everybody is getting rid of their NES—or more specifically, their NES controllers. 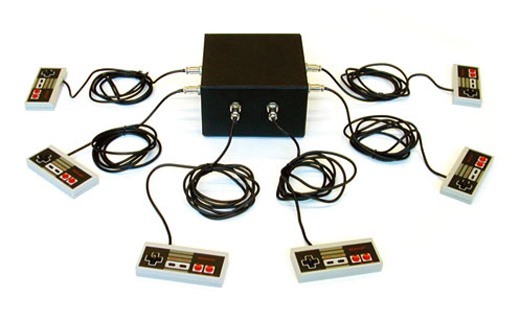 Back in 2004, Benjamin Gaulon repurposed his old NES controllers, hooking them up to a central hub to create what he calls the Recycling Entertainment System (RES), a musical device that could be controlled by up to six players. The controllers contained chips that hooked up to the main chip at the hub, which reads and converts the signal from the controllers to MIDI, which outputs the signal to a computer running a special music software where players can interact. Now, he's gone and recycled more controllers, this time creating a miniature version, the Mini Recycling Entertainment System (RES Mini). This portable version used three NES controllers instead of six, and they're converted to USB via an Arduino board, which connects to a computer running Resware, a Pure Data-based software. Like the regular sized RES, the Mini's players can interact and make music together. The basic setup has drum on the first controller, then voices, music loops and scratch on the second and third controllers. This is probably what Rock Band would look like if it existed in the 8-bit era. To make your own, grab the hardware hack and open source software from Gaulon's website. If you don't want to do all the work, you can purchase one, too. Below is a video of the original RES in action.